In his excellent TED talk, renowned inequality researcher Richard Wilkinson showed that of all OECD countries, Singapore had the worst inequality, ahead of Portugal, US, New Zealand, UK. Gini coefficients are the standard measure of income inequality. A score of 1 is the worst and 0 is the best. Because it is taken on the average not the median income, extremes of wealth will raise it. I had always believed that Singapore was a model where there was little poverty and not much inequality. It is commonly cited as one of the more ‘georgist’ places in the world in terms of them shifting burdens on land, socialising its value and untaxing labour and capital. But there are myths about the “Singaporean miracle”. In the absence of any constraint on the movement of global capital, any billionaire can set up residence and tap into the low tax regime. And they do. High net individuals and multinational corporations hide their wealth there. 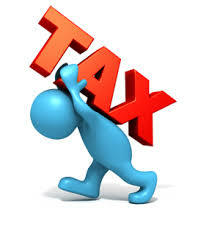 The tax benefits include a 20% top income tax, and a 17% top company tax. Even New Zealand has a billionaire living there – Richard Chandler. We have insisted that both the land issue and money issue need to be addressed together, not separately, and Singapore is a clear example of what happens when you do one but not the other. The late Adrian Wrigley of the Systemic Fiscal Reform in Cambridge said, ‘If we just have resource taxes including land tax, where people pay for the privilege of monopolising their part of the commons, but have no monetary reform then money will concentrate with banks. Banks will row the economy between easy money and tight money causing booms and busts. They will put up interest rates for ‘riskier’ loans. They buy patents, radio spectrums, copyrights and trademarks.’ They bribe governments. Whether Singapore, a country of 5.5 million, has done all this I don’t know, but it is a low tax regime and it certainly featured in the Panama Papers. It has even been labelled as a tax haven. For example, companies like TrustNet, now headquartered in Singapore, has branch offices in 16 other locations. It describes itself as a ‘one-stop shop,’ employing lawyers and accountants who help “high net worth” clients manage their money and business activities. The main product it sells is secrecy. It is easy to set up a company because only one shareholder and one director is needed. There is no need to disclose the beneficial owners of Singapore corporations to the authorities. Hopefully the international crackdown on tax sheltering will do something to change it, but given the nature of the tax regime in most countries, I can’t see much hope. They haven’t yet understood it is better to rely on land as a source of income, as land will not get up and walk away. Big Australian mining companies have large workforces in Singapore. BHP has more staff there than its Melbourne headquarters. There are about 600 employees and 400 contractors in Singapore. Apart from being a marketing hub, it also has its business information systems based there. Rio Tinto employs more than 300 staff in Singapore. Companies such as Google, Apple, Microsoft, BHP Billiton and Rio Tinto have all admitted in hearings as part of the Senate inquiry into corporate tax avoidance that they are under audit by the ATO for their use of Singapore ‘marketing’ and ‘service’ hubs, where they route hundreds of millions of dollars of income. So I wonder about Singapore. Could it be a perfect example of what Adrian warned? While 90% of the land is now government owned, the banks have too much power. Singapore is not just banking hub, it is shadow banking hub. There are about 125 commercial banks in Singapore, only five of which are local. Although banks lend a lot of money into existence in Singapore and their loans go towards construction of capital, rather than simply bidding up the price of land (as we see in Auckland, for example), that is not all that banks do. They sell derivative contracts over the counter – bets on interest rates or other securities. Derivatives leverage up money creation up to 100 or more times. Trading in derivatives contracts happens round the clock. Singapore is a leading global commodities hub with 14,000 people employed and annual turnover of some US $1 trillion in the commodities sector. The majority of people who live there find Singapore is an extremely attractive place to live and operate from. It is safe, clean, and green with superb infrastructure. The unemployment rate in Singapore is just 1.9% (June 2016), down from 6% in 1986. Bear in mind though, the definition ‘employed’ includes those employed part time, probably as little as an hour a week. Unlike New Zealand they don’t have a Universal Superannuation. Many of Singapore’s elderly didn’t save enough while working, but they live longer. Some were born when there was no access to education. What’s more, the Singapore language policy marginalised many of them only able to speak languages other than Mandarin and English. While the cultural norm of caring for the elderly seems to have almost vanished, the government still argues that children should take care of their parents. Many elderly are on the government allowance of $450 a month, reliant on charity for food and health care. Living in tiny apartments as small as 30 square metres, they clean tables at hawker centres, collect cardboard for money, scrub apartment blocks or slog in the hot sun as security guards. Security guards and cleaners are among the worst paid. In response, there is now a plethora of government assistance, making for growing administrative costs of welfare, when it would have been so much better to have shared their land rents with all their citizens in the first place. So Singapore can only stop its own rent from being stolen by the global elite; it can't stop the global elite from setting up shop there and stealing the rent of other places. Local rent-sharing can only raise the local floor. But Singapore doesn’t do enough rent-sharing, hasn’t controlled its banking industry and doesn’t exist in isolation from the global capitalist economy. Hence its inequality. So maybe we’ve seen only part of the equation. Taking land into public ownership stops private landowners from pocketing land rent, but it doesn't restore the universal individual right to share the land value. The Singapore government has built great infrastructure and housed almost all its people, but it could easily share the remaining public money with its citizens. The Citizens Dividend enables everyone to collect rent, rather than just landowners. But without democratising the budgeting process, ordinary people are not receiving their fair share. Singapore has the highest per capita of millionaires of any country. One in six households are millionaire households. The mobility of capital and people across borders means that the borders of the country are constantly being crossed. So it is no good just having one country in the world with land owned by the government while billions of dollars slosh around the globe every hour. Billionaires can sit in Singapore and draw rent from land in the rest of the world. Aetas Global Markets provides funds for commodities projects. Many international firms are sited in Singapore. Global Capital firms like Knight Frank invest on behalf of what they call Ultra High Net Worth Individuals (UHNWI) in property round the world. Genesis Global Capital appears to choose cities in the early stage of a property boom in Brazil and Germany. The Strait Times reports in March 2016 that the financial services sector is a key driver of Singapore’s growth. Henry George defined poverty as the ‘fear of want’, the ‘relentless hell waiting beneath civilized society’. He believed that removing this fear would not only help the poor, but transform our culture and society. The situation of the 870,000 foreign workers (Feb 2016) in Singapore is contentious. Many immigrants like the safety and enjoy the food. While it is good if your employer is fair, it is not so good if you are exploited. There are construction workers from India, Bangladesh, China and Nepal and maids from the Philippines, Myanmar and Indonesia who earn much less than an average Singaporean. Some live in dormitory ghettos provided by the government. Migrant workers are not given basic protections such as a minimum wage, standardised working hours and a right to unionise, so this puts a downward pressure on wages, raising inequality. There are reports of maids being ripped off by recruiters, and sometimes being beaten or raped. Live-in nannies are often on 24/7 standby and earn $5 an hour. If they have their passports stolen by their employers they can’t go home. However many eventually earn enough to take back home and live a life with more choices. With 40% of Singapore's inhabitants being foreigners by 2013, immigration is increasingly becoming a big political issue. So despite the hope of eliminating poverty, the ugly side of global capitalism is becoming increasingly apparent. Jesse Colombo is a great person to follow on twitter (@thebubblebubble). He posts information on bubbles – housing bubbles, commodity bubbles, any sort of bubble. He is a young man who was one of a handful of people to forecast the Global Financial Crisis. He has a superb website. But then I came to a sentence which said “Ultra-low interest rates are the primary reason why credit bubbles inflate” and I realised that my much admired Jesse Colombo hadn’t gone the step further in his understanding. He was so focussed on his bubbles he didn’t allow himself time to think of the illogical tax system we all use (and which of course suits the banks very nicely thanks). Of course zero interest rates will cause bubbles of all sorts but only when there are no land taxes or resource taxes to stop them. So the zero interest rate isn’t the root cause, it is the illogical tax system. Unfortunately most of the world is completely unaware of this and my hero is no exception. They assume unthinkingly that there is only one tax system regime, and that is income tax, corporate and sales taxes! England existed completely on land tax from 1066 to 1216 and progressively declined since then. Income tax wasn’t introduced in England till 1799. It is half a lifetime since a New Zealand government legislated against having a land tax and people have forgotten. A thirty year old in this country can’t even remember that we once had no sales tax. If there is no charge on the holding of land, of course the price of land will escalate. A land rent, ground rent, land fee paid regularly to society will stop housing bubbles in their tracks. If there is no charge on the holding of a commodity, the price of that commodity will rise. But with a tax system that taxes what you hold or take not for what you do or make will set this right. Finally the liquidity in the system will flow into productive enterprises not speculation. Bernard Lietaer says our relationship to money is like a fish’s relationship to the water in which they swim. They don’t notice it. Well the human species has two large issues yet to notice in the environment we live in – the design of our national currency and the tax system. If awareness is half way to solving it, we had better become conscious of our tax environment and currency design environment and we had better raise that consciousness mighty quickly. Christchurch has a unique opportunity. The plan of the inner city area includes three "frames". The largest one is to the east and contains 13 ha of land which will end up as park. Apparently there through the park will be cycleways and walkways. Cyclists will ride past some residential houses and some inner city up market apartments. The south frame will contain the health precinct and the Avon Precinct to the north will have civic buildings. It is the east frame I have been thinking about. If there are to be private homes in this park – and there is no date for it – then let's do it right. There are 92 properties to be acquired by Government in the eastern frame. 52 agreements have been reached and there are 30 sites with negotiations being finalised. In the Press (Sat July 13, 2013) there is a story describing the bitterness of property owners. The Christchurch City Development Unit is apparently offering ridiculously low sums of money for these properties. The Government can acquire the land under the Public Works Act. If property owners allow this, they can seek compensation through the courts. The article talks about the Government onselling the land at a profit and it is here that I really started to get interested. Putting aside all the unfairness of not paying market prices for the land and getting it on the cheap, this issue of onselling it is where I draw the line. My view is that the Government should keep the land and then auction the leasehold property to the highest bidder. Thus a full ground rent would be payable. The revenue should ideally be shared by local government and central government.